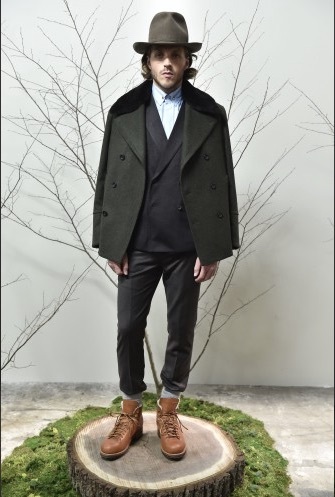 Capes and debonair hats with refined overcoats and hiking books distinguished Brett Johnson's Fall/Winter collection. 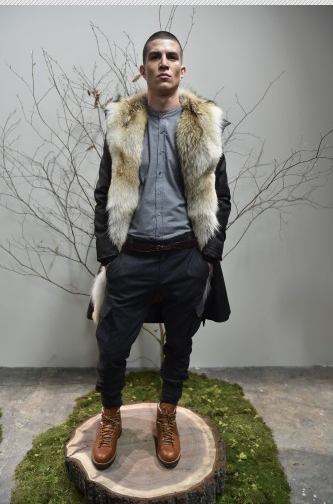 Fur collars and hiking books gave Brett Johnson's Fall/Winter collection a distinct Revenant vibe. 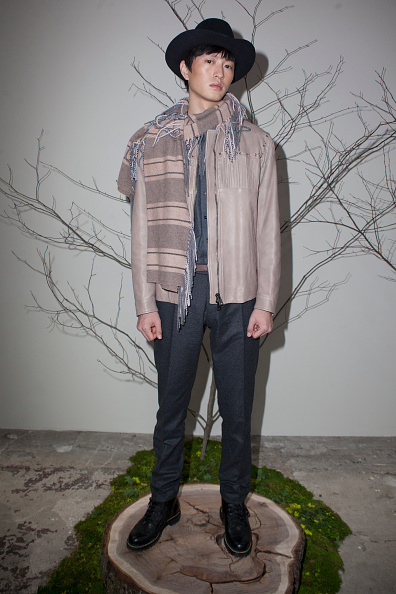 Refined overcoats draped over detailed knittings give Brett Johnson's Fall/Winter collection a classy Western appeal . 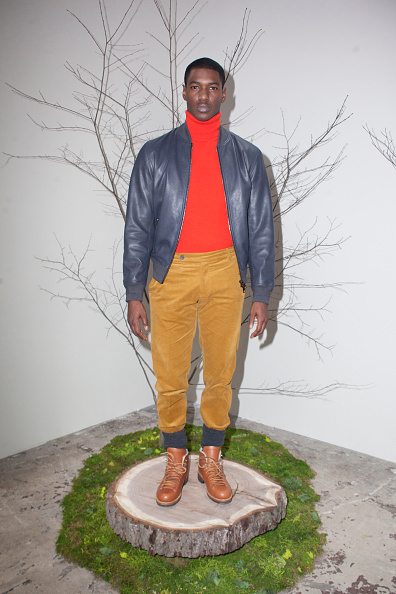 Woodsman meets Beat poet in this colorful combination by Brett Johnson. Photo by Santiago Felipe/Getty Images. Silvers and grays, leathers and wools -- subtle combos that make for a devilishly refined ruffian. 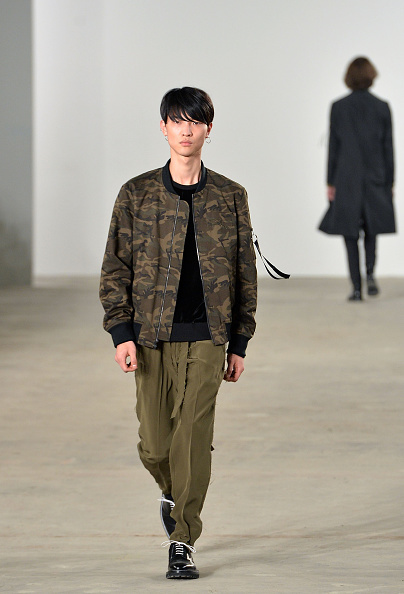 Casual but classy camo gave the Ovadia & Sons runway show some military edge. Photo by Slaven Vlasic/Getty Images. 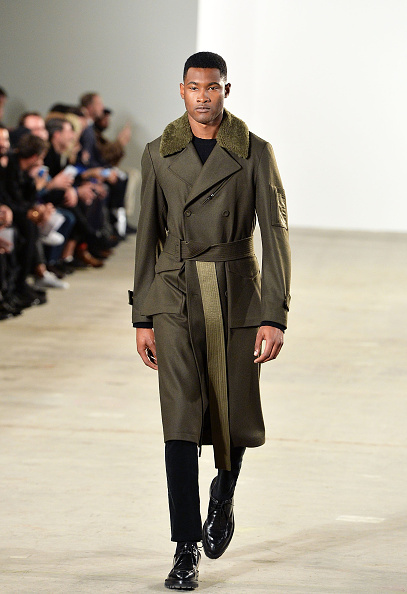 Slim and tightly detailed trench coats paired with slick slacks give the Ovadia & Sons look a sharp silhouette. 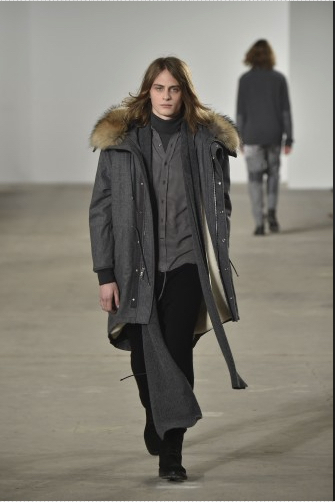 Monochromatic silk overcoats and soft velvet pants bridged the gap between runway and street stylings. 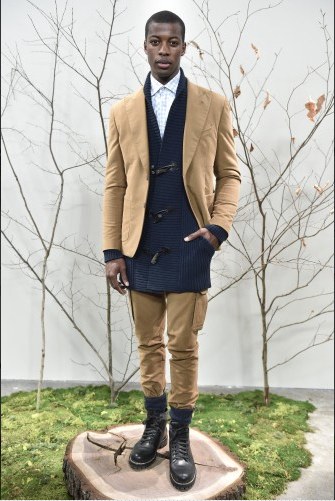 Layers of silk and wool gave the Ovadia & Sons collection an incredibly sumptuous feel. 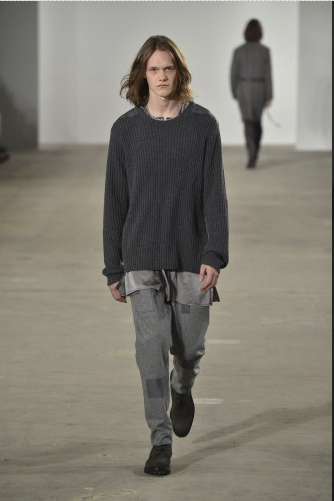 The oversized sweater and patchwork pants give a contemporary update to the well-known grudge vibe.